Clearswift survey finds email links are top risk for companies of all sizes. UK businesses are being hit with more phishing attacks than ever before, making the scams the number one security worry, new research has said. A report from Clearswift, based on a poll of 600 senior business decision makers, and 1,200 employees in the UK, US, Germany and Australia, says links inside emails are the biggest threat for 59 per cent of businesses. Phishing is followed by a “lax attitude” among employees towards sharing passwords (33 per cent). Then, there are USB sticks, as well as employees not following security best practices. 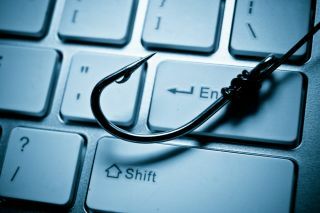 “It is easy for a company to perform mock phishing exercises and physical penetration tests to assess vulnerabilities, however this underhanded approach to catch staff out may not always prove to be the best way forward,” commented Dr Guy Bunker, SVP of products at Clearswift. “With the knowledge that most information breaches are inadvertent, technology can so often provide a clear solution. This way, a business can work towards a safer environment and a more security conscious workforce,” he added.